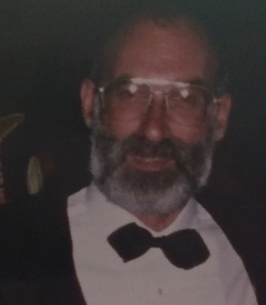 Michael Bruce Kaprow, 71, suddenly and unexpectedly passed away surrounded by members of his loving family on November 16, 2018, in Florida. He was born in Bangor on May 10, 1947, the son of Gerald and Roslyn (Cohen) Kaprow. After graduating from Bangor High School, Michael proudly served his country in The United States Army. He was a loyal member of Beth Israel Synagogue in Bangor, Maine. After returning from his military service Michael worked alongside his Father in the family business, Bangor Candy Company. Michael enjoyed playing golf and pool, but above that, his true passion was being with his family and friends whenever he could, spending his time between Florida and Maine. He married his soul mate Carol-Anne Malcolm also of Bangor, on August 8, 1988. We will always remember Michael for his quick wit, kind heart, and generosity. Michael was predeceased by his parent’s, and wife of 30 years Carol-Anne Kaprow in 2018. Left to honor and remember Michael are, his sister and brother-in-law Gail Ginsberg and husband Bob of Trumbull, Conn; his daughter’s Amey Molloy, of South Carolina, Tammy and husband Michael Moore, of South Carolina; his son and best friend Robert J. Rosewall and wife Heather Rosewall, of Biddeford; four granddaughter’s, Hannah Lyons, Abigail Boulier, Allyson Molloy and Holly Rosewall; his cherished nephews, nieces, Aunt and Uncles. A graveside service will be held at 12:00 PM, Noon, Tuesday, November 20, 2018, at the Beth Israel Cemetery, Severance Road, Bangor. Those who wish to remember Michael in a special way may make gifts in his memory to the Cardiac Unit at Northern Light Medical Center, C/O Northern Light Health Foundation, P.O. Box #931, Bangor, ME 04402-0931. Condolences to the family may be expressed at BrookingsSmith.com. Rest in peace, our friend, Michael. I loved your folks we played a lot of Scotch Foursome with them, over the years. One Thursday your mother gave me a talking to about biting my nails, and I stopped cold turkey, at the age of 32!